The FBI has harassed, threatened and even denied Fifth Amendment rights to friends of an Orlando man agents killed in May who was close to alleged Boston Marathon bomber Tamerlan Tsarnaev, the Council on American-Islamic Relations said Wednesday. Friends of Ibragim Todashev have told the Florida chapter of the Council on American-Islamic Relations (CAIR) that FBI agents have asked them to spy on Orlando-area mosques, threatening arrest if they failed to comply. One friend of Todashev, Ashurmamad Miraliev, was arrested by the FBI on September 18 on a warrant for supposedly threatening a witness in an Osceola County battery case 14 months ago. Yet following his arrest, he was interrogated for six hours only about associations with Todashev despite repeatedly requesting his right to an attorney, CAIR-Florida said. The FBI agents allegedly responded, "That is not happening." "Didn't ask him anything about the alleged charges. Just interviewed him for over six hours trying to get as much information on Ibragim Todashev as possible," Hassan Shibly, director of the CAIR-Florida, said Wednesday at a press conference in Orlando. CAIR-Florida attorneys said they were not able to meet with Miraliev until September 24. Miraliev remains in Osceola County jail on federal retainer. “It is simply unacceptable for the FBI to continue to question our client and deny his requests to speak with his legal counsel,” CAIR-Florida Civil Rights Director Thania Diaz Clevenger said in a statement. “It fits the pattern of abuse and troubling behavior by FBI agents beginning in the days prior to the killing of the unarmed Ibragim Todashev. One can only wonder if Mr. Todashev was denied his rights to legal council (sic) during the questioning that ultimately resulted in his death." The group said it has received several corroborating reports from friends of Todashev that FBI agents have threatened to wrongfully arrest them if they do not work with the agency to spy on local mosques, Muslim restaurants and hookah lounges. The FBI refused comment on Wednesday, reported WFTV. CAIR-Florida has requested the US Department of Justice open an investigation into the allegations of civil rights violations and abuse by the FBI of Todashev’s friends. The allegations against the FBI come a week after Todashev’s girlfriend, Tatiana Gruzdeva, told Boston magazine that in May she was interrogated by agents about any connection she or Todashev had to Tamerlan Tsarnaev and the Boston Marathon bombing. Agents eventually sent her to immigration officials. She was detained until August, at times in solitary confinement. Gruzdeva said she and Todashev voluntarily met with FBI officials on May 16, a month after the bombings in Boston. Once there, agents took Gruzdeva to a separate room. On May 22, Todashev, a friend of accused marathon bomber and fellow Chechen Tsarnaev, was questioned by FBI agents and Massachusetts State Police in his Orlando apartment for over five hours before being shot and killed. The FBI has offered conflicting reports as to what happened. 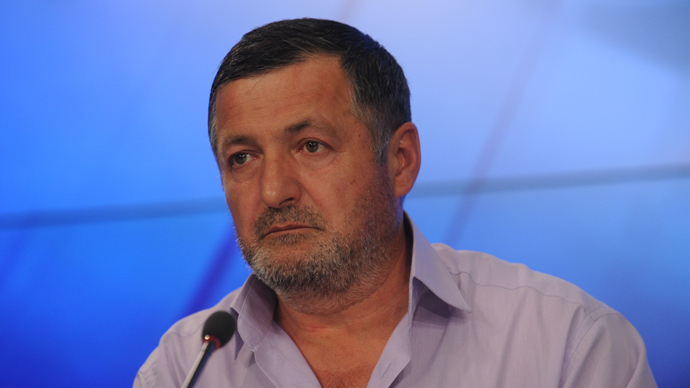 Some sources said Todashev attacked agents, though its unclear if he was armed. Other sources said he was on the verge of writing a confession implicating him and Tsarnaev in a 2011 triple homicide in Waltham, Mass. The FBI still has not issued a report on what happened in May, and has sealed the autopsy and all other medical records. Massachusetts and Florida officials have said they will not open an investigation or call for a private probe of Todashev’s death, though a state prosecutor in Orlando announced in August he would start an independent investigation into the shooting. On May 30, an immigration judge ordered Gruzdeva’s deportation, though she was granted another year in the US in August upon her release from detainment. 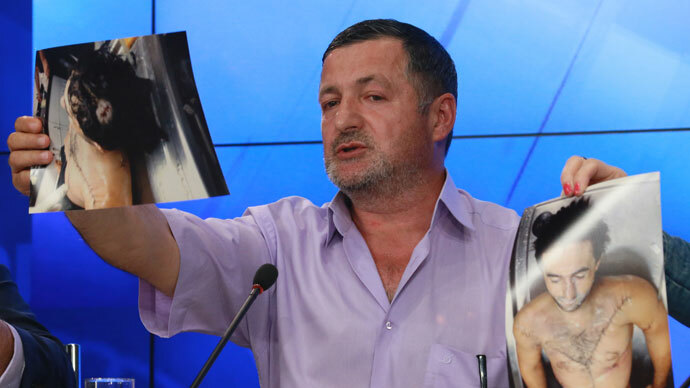 She said found out Todashev was shot seven times and killed while in custody. 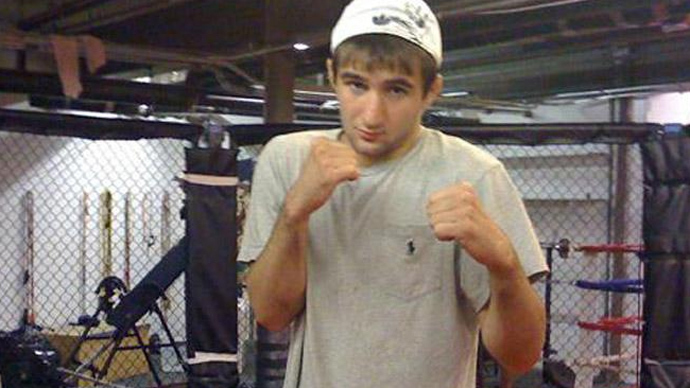 Tamerlan Tsarnaev died days after the marathon bombings during a shootout with law enforcement in Watertown, Mass. His brother and alleged co-conspirator, Dzhokhar Tsarnaev, was also shot during the encounter but managed to escape in a stolen vehicle he later abandoned. A day later, Dzhokhar was found wounded in a Watertown backyard during a massive manhunt in the Boston area. 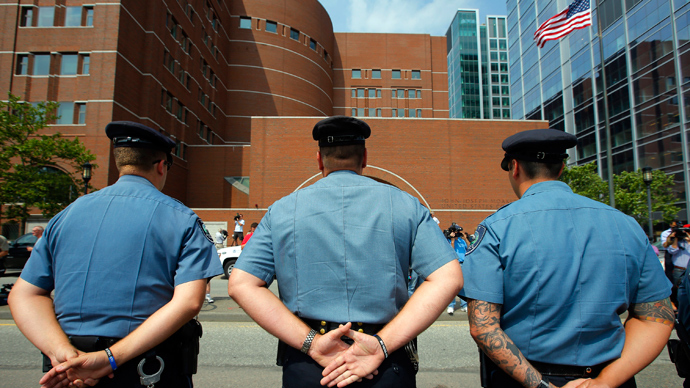 He pled not guilty to 30 counts against him on July 10 in a Boston federal court.